The Inquiry into Modes of Existence is an attempt to build on the work of several anthropologists who have tried to go, as Philippe Descola said, “Beyond Nature and Culture.” Since this movement is itself one of the consequences of a reappraisal of the function of science, a new space has been opened up for an anthropology of modernity by using several yardsticks to define the reality of the beings informants say they encounter. It is those connections between science studies, anthropology, and modernity that will be followed in this colloquium. If it is notably difficult to do the anthropology of those who invented the anthropology of “others,” it is in part because they have managed to avoid doing their own.1 This most primitive and most aboriginal lack of reflexivity makes any sort of self-examination a skewed enterprise. This is why it is fairly useless to try to distinguish philosophy from anthropology when one wishes to find one’s way through such an entangled jungle. 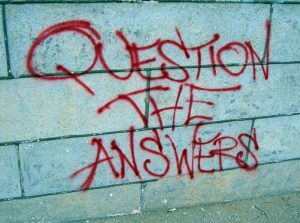 You need anthropology—associated whenever possible with its set of ethnographic methods—to overturn philosophy’s claims that it has already reached universality; and you need philosophy—with its own set of interpretive skills—to make sure that anthropology’s claims to scientific status are not a form of provisional and provincial metaphysics. Each discipline spurs the other to restart its inquiries into the collectives that are constantly enmeshed by conquest, commerce, or war. Being forced to start again makes certain that any decision on commonality or difference is not arrived at too quickly. Both disciplines might still have as their goal to reach for the common world—in the singular. But their constant game of cat’s cradle slows them enough so that no shortcuts are taken toward their joint work of composition. Overall, their connection ensures a combination of pluralism and a plausible future unity in a very different way from the oldest settlement of one nature and many cultures which stabilized universality too fast and accepted plurality too lightly. This mutual stimulation between philosophy and anthropology has been especially important in my own field of science studies, since the philosophy of science has determined a large part of our mental organization—including, of course, the very project that created an uneasy relation between biological and cultural anthropology. The strategic and unexpected importance of the philosophy of science comes from the fact that it has become the main knot for the settlement of legitimate ontologies: that is, for what should be expected from agencies. So if there is one topic where the two disciplines cannot be dissociated, it is that of settling how many ontological templates one should be ready to consider in order to grasp the relations between agencies—or “interagency,” to use Descola’s term. This is why the link between philosophy and anthropology should not be defined by some “ontological turn”: ontology has been there all along and has been essential to the modernist project. As to there being a “French turn,” this is an excess of honor for such a “provincialized’’ academic community. . . Anyway, as far as I know, Viveiros de Castro is no more French than Isabelle Stengers or David Abram. The result of this bifurcation has been the creation of an idealistic definition of matter where all the agencies encountered in daily life had to answer only the following question: “Are you objective, that is, material, that is real; or, are you subjective, that is probably meaningful but unreal?” And the belated consequence of such a question has been to situate objects as a point in space without real space and as a moment in time without real time. This is where an ethnography of the Modern is indispensable in taking up the mantle for what would otherwise remain a philosophical argument. It is only through attentive fieldwork that you can measure how ill equipped you are with the pincer of subject and object, to give one striking example, to account for a technical project— a form of agentivity totally ignored by philosophy of technology. The reason that fieldwork is indispensable is that, viewed from afar, the claims of engineers to stick to “material objects” might seem superficially accurate. Distance, here as always, is a fertile source for exoticism. It is pretty terrible to live as a collective between “conjecture” and “dream.” It was even more dispiriting for the elites of those collectives to live between “inaccessible realities” and “accessible unrealities”—while at the same time transforming the world like no other collective had done before them. It took a long time for anthropologists of the “other” collectives to accept that a large part of their difficulties in making sense of their data had to do with the exoticism that had rendered the Moderns so unfit for reflexivity. They had to find a solution other than the bracketing-out of ontology. In the case of the Moderns, exoticism (this may be one of their defining traits) is the projection not that distant foreigners have of them, but of the distance they insist on maintaining to themselves, and by consequence to “others”! This is a distance that could explain, as I have often argued, the link between creativity and moving blindly forward. If there is one case where the constant interference between philosophy and anthropology is necessary, it is in exploring this gap between selfdescription and what we keep calling “practice,” even though the word designates nothing more than the refuse heap of everything that the subject–object pincer has been unable to grasp. If everything of late has become “practice,” it is not because it is a good concept; it is simply that the subject–object inherited from the bifurcation is a terrible one. If we were allowed to use different ontological templates, we would have no need for “practice,” since every form of existence would be explicated in its own language and according to its own condition. So there exists a direct link between the lack of reflexivity I mentioned at the beginning—the deep fog of exoticism in which the Moderns are happy to hide—and the proliferation of “practice-based” inquiries. There is the additional difficulty that people who cannot account for themselves, who are not even able to defend their most cherished values such as science or technology, might turn out to be dangerous. After all, at the time of ecological mutations, it is important to find a medical definition for the word “hubris,” often used only in too-mythological a sense. The goal of the AIME project is to open a “middle ground” (White 1991) where what I call “diplomatic negotiations” may be started again without those attempts being nullified in advance by the two hypotheses of universality and multiplicity. To take an example inspired by Kohn’s book (since, anyhow, soil and forest scientists do not treat their “subject matter” in the idealized way of “Westernized science”), it is of extreme interest to negotiate “how forests think” with the other forest inhabitants—a crucial question for any forest management in the future. Interagentivity, that is, the capacity of relating agencies with one another without passing every time through the obligatory passage point of the subject–object (if such diplomatic encounters were taking place), would begin to draw lines of agreement and dissent totally different from what would have been expected from a Nature-versus-Culture frame. The multiplication of such diplomatic scenes will become even more important when the acceleration of ecological mutations forces the inhabitants of the shrinking domains of life into finding out how to compose the common world that they are supposed to inhabit, if not peacefully, at least without exterminating one another. In that sense, the ontological turn is neither the fancy of a philosophical school of thought nor a tool for a better ethnography. It is one of the ways to take up, once again, the mantle of that politics—or rather of that “cosmopolitics”—that anthropologists at the dawn of their discipline had begun to weave together by refusing to let physical and cultural anthropology split apart. That their reuniting does not in any way resemble the older dream of naturalization does not speak to the weakness of the discipline. Rather, it exemplifies the incredible energy with which anthropologists of various descriptions had tackled the terrifying issues of the last century and in which they tackle today the challenge of what Peter Sloterdijk (2013) has called “monogeism”: that is, the discovery that there is one Earth, the unity and habitability of which remains exactly as puzzling as at the beginning of the nineteenth century. Haraway, Donna. 2003. 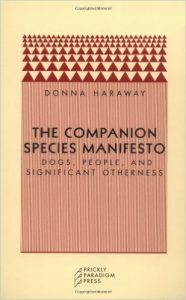 The companion species manifesto: Dogs, people, and significant otherness. Chicago: Prickly Paradigm Press. Kohn, Eduardo. 2013. 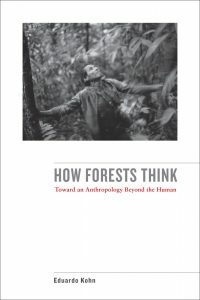 How forests think: An anthropology beyond the human. Berkeley: University of California Press. Latour, Bruno. 1988. “Irreductions.” In The pasteurization of France, 151–236. Cambridge, MA: Harvard University Press. ———. 1993. We have never been modern. Cambridge, MA: Harvard University Press. ———. 2005. “What is given in experience? 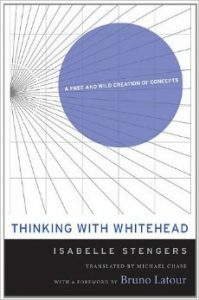 A review of Isabelle Stengers’ Penser avec Whitehead.” Boundary 2 32 (1): 222–37. 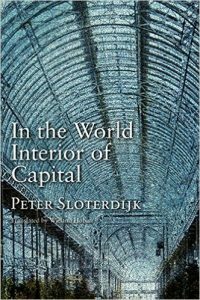 Sloterdijk, Peter. 2013. In the world interior of capital: Towards a philosophical theory of globalization. Cambridge: Polity. Stengers, Isabelle. 2011. Thinking with Whitehead: A free and wild creation of concepts. Cambridge, MA: Harvard University Press. White, Richard. 1991. The middle ground : Indians, empires and republics in the Great Lakes Regions 1650–1815. Cambridge: Cambridge University Press. Whitehead, Alfred North. 1920. “Theories of the bifurcation of Nature”. In The concept of nature, 26–48. Cambridge: Cambridge University Press. 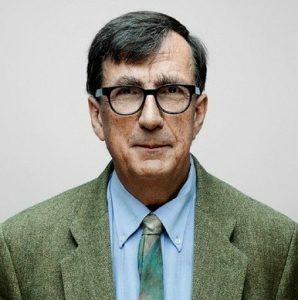 Bruno LATOUR is professor at Sciences Po and director of the TARDE program (Theory of Actor-network and Research in Digital Environments). He is currently occupied mostly with the AIME (An Inquiry into Modes of Existence) project. A previous draft of this paper was originally delivered as an opening statement as part of “The ontological turn in French philosophical anthropology,” an executive session of the AAA Annual Meeting, Chicago, November 23, 2013. This work has benefited from the ERC grant “An Inquiry into Modes of Existence”, 2010 N°269567. Editor’s note (John D. Kelly): this is a revised version of the text earlier posted on Bruno Latour’s website. Editor’s note (John D. Kelly): Bruno Latour’s opening statement is condensed on key points in order to be comprehensive, engaged with his anthropological audience, and brief. Rather than revise away from what was actually said, with Latour’s permission I add a few explanatory notes on key concepts and topics. Here, an interested reader without particular familiarity with Latour’s work may want to know that he has launched an intense, extensive ethnography of the “Moderns” in his AIME (An Inquiry into Modes of Existence) project (http://www.modesofexistence.org). These Moderns are the actants attempting to deal with all others first via the division into subjects and objects, as Latour discusses here. The first extensive discussion of actants and their encounters with others, as a general starting point less problematic than division of the world between subjects and objects, is Latour’s “Irreductions” ( 1988), points 1.1.7 to 1.1.9 (159–60). The general project of reassessment of the truths and situations of these Moderns is launched in We have never been modern ( 1993) and continues with the AIME project itself. Editor’s note (John D. Kelly): This “bracketing-out of ontology” is the signature move of Edmund Husserl’s early-twentieth-century “phenomenology,” a philosophical attempt to sustain and elaborate on Kantian foundations by ignoring objective realities and focusing attention on the experiences of the subject, to better understand, well, everything. Thus, to restate the points here, both dialectical and phenomenological philosophies proliferate new entities and multiply interagentivity, while trying and failing each in their own way to sustain and stabilize the difference between subjects and objects. The anthropologists in the field could, and in fact had to, actually bracket-out not the object but the subject–object dichotomy, if and when they understood what they framed as distant realities. This strategy won’t work for the close at hand, especially the outcomes of interagentive technical projects. This entry was posted in Anthropology, Philosophy. Bookmark the permalink.